Potter Lucy Rutter makes a series of vessels, showing the clay as it goes through a variety of tactile states from wet (leather-hard) to bone-dry, fired and glazed. 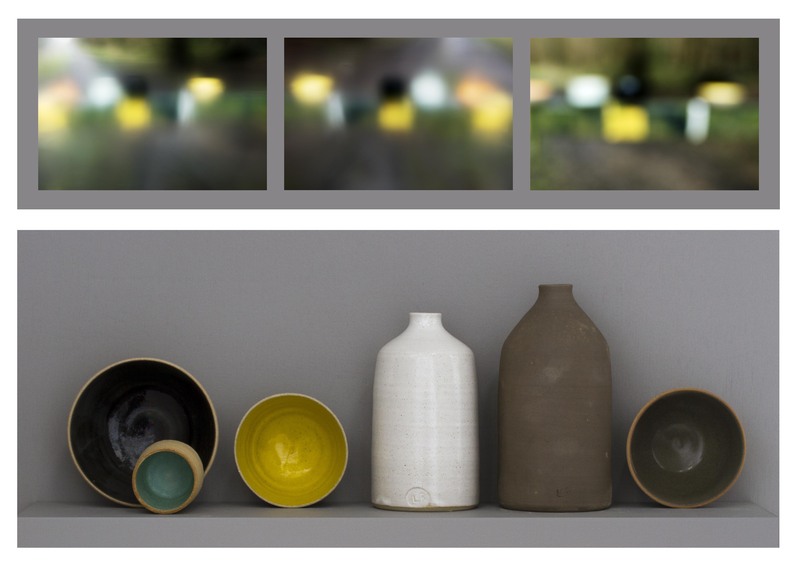 Photographer Lesley Davies-Evans combines triptychs of fleeting images on watercolour paper, abstracting local landscapes to suggest new loose connections of colour space and form. A field trip to a Kent clay pit was the beginning of a creative interaction between these two different forms, leading to the exhibition of FLOW at Frank.